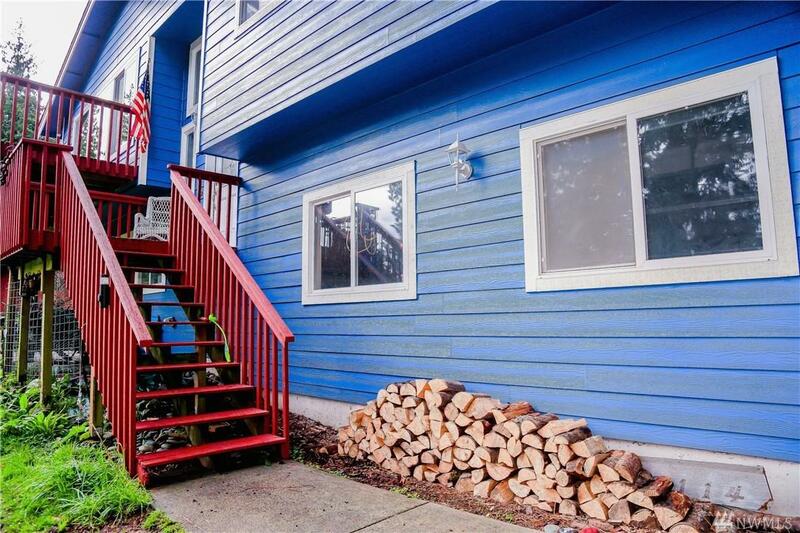 1800+ sq ft home w/new siding/paint on 0.51+/- acre double lot. 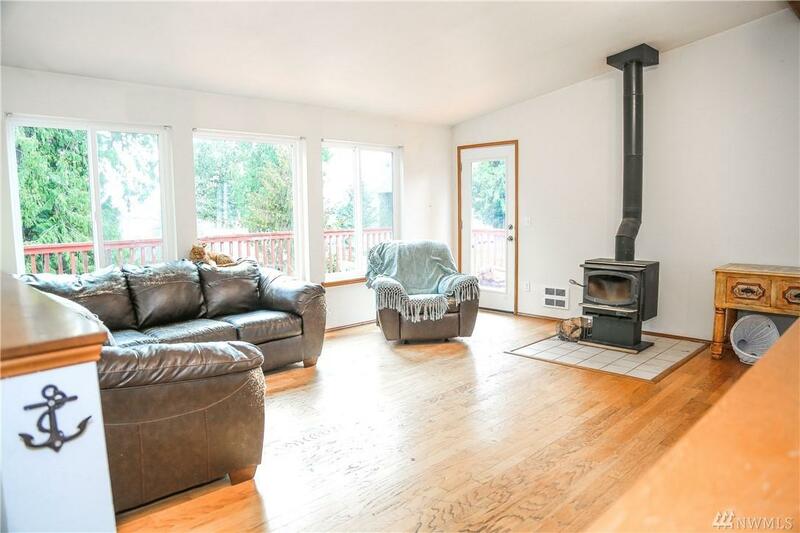 Great room w/vaulted ceilings, hardwood floors, wood stove + bright picture windows & door out to a deck. Kitchen has a skylight, stainless appliances, plenty of cupboards + counter space. Master w/ 3/4 bath, a 2nd BR, a bonus room + full guest bath complete the upper level. 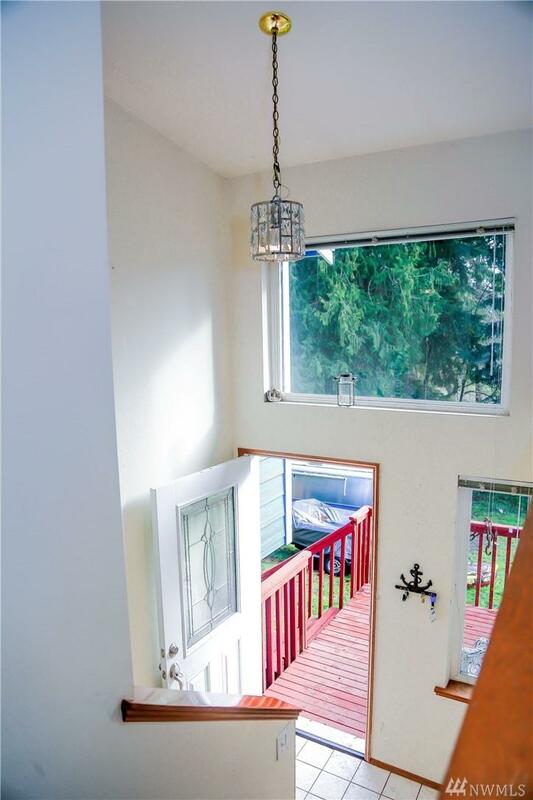 Lower level: family room w/sliders to yard, full bath, laundry. 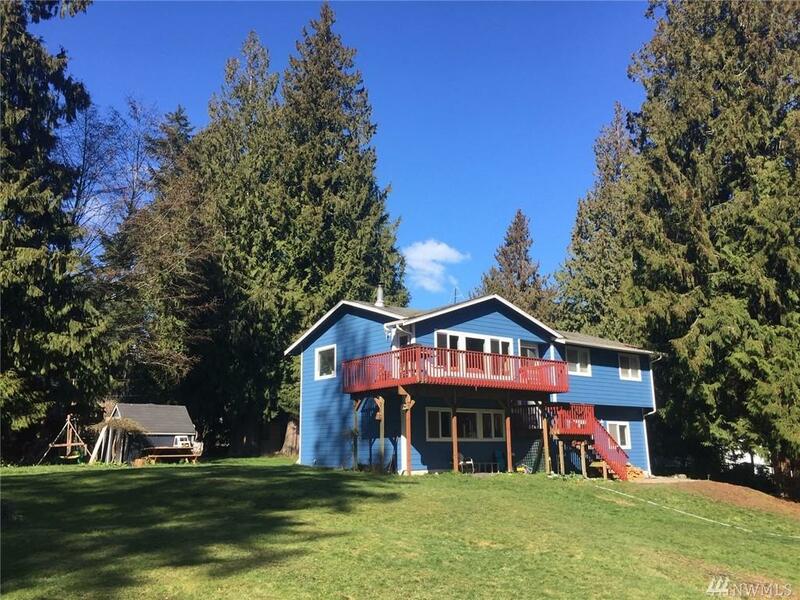 Beach access, pool, boat launch, outdoor kitchen, sports court + clubhouse on sunny Cultus Bay.